Today is one of those days when I’m trying to be so good because tonight I know I will splurge. Previous me wouldn’t do this. 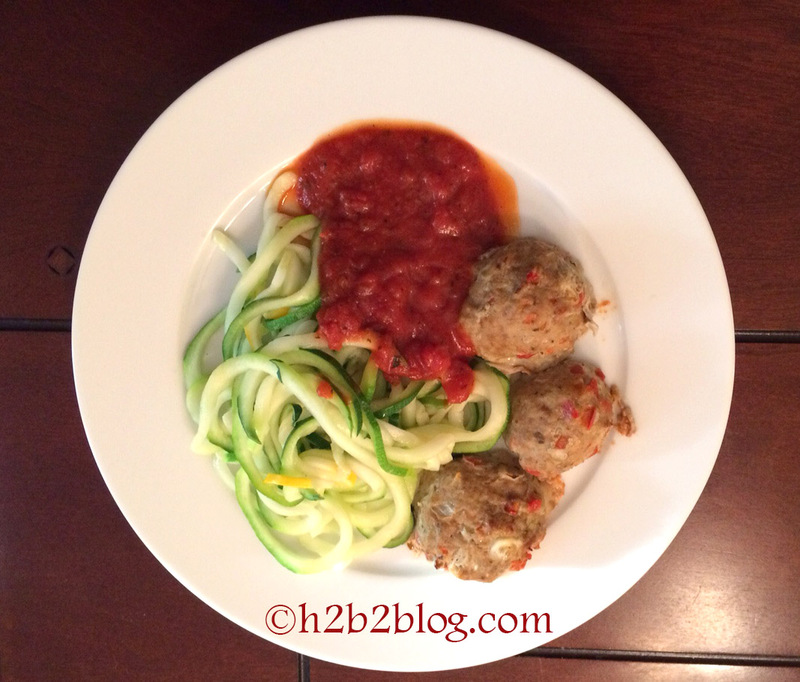 Pre-Advocare-24-Day-Challenge me would say, “screw it” and consider the entire day a lose. Tonight is Wine Club night. That basically means a group of women get together whenever we can to discuss and drink wine. Well, we may have done that a few times but now it’s just a wine fest and an excuse to catch up without significant others and children. I love Wine Club nights. In an effort to thoroughly enjoy my evening, I am eating pretty lean today. Fruit Punch Spark to start my day. Meal Replacement Shake for breakfast. Lunch was a salad of greens, tomatoes, green beans and tuna with an oil and vinegar dressing. Afternoon snack was two pieces of turkey lunch meat and a banana. Wine club consisted of wine, cheese, crackers, sandwiches, veggies and dip. It was wonderful. Hot diggity! All the damage from Labor Day Weekend is gone! I am back down 2 pounds. And, I feel much better. It’s hard to believe I only have one week left in the Challenge. Now that I’m back from the edge of ruin, I do feel like this whole clean eating thing is pretty neat. 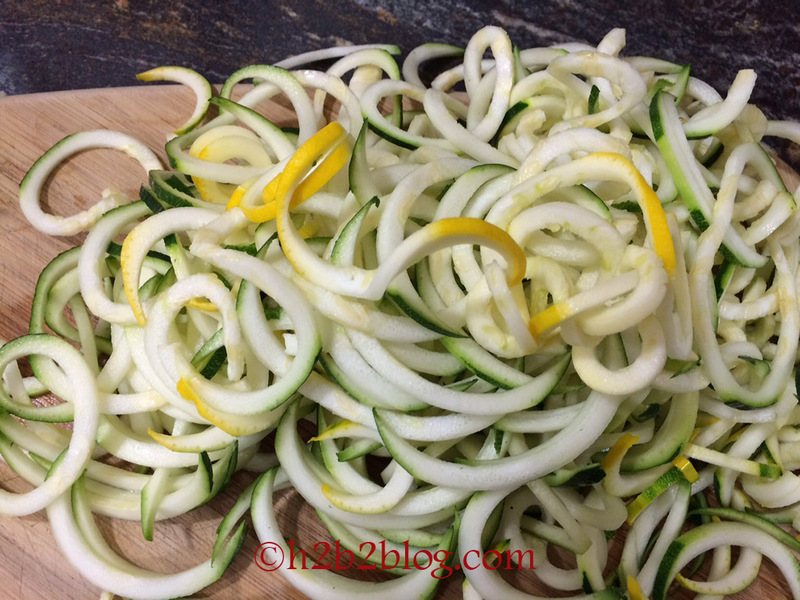 I have been eyeing a spiral veggie slicer for months. But for some reason I just never pulled the trigger. I always felt like they were cheap looking and wouldn’t be worth the $36. Boy was I WRONG! 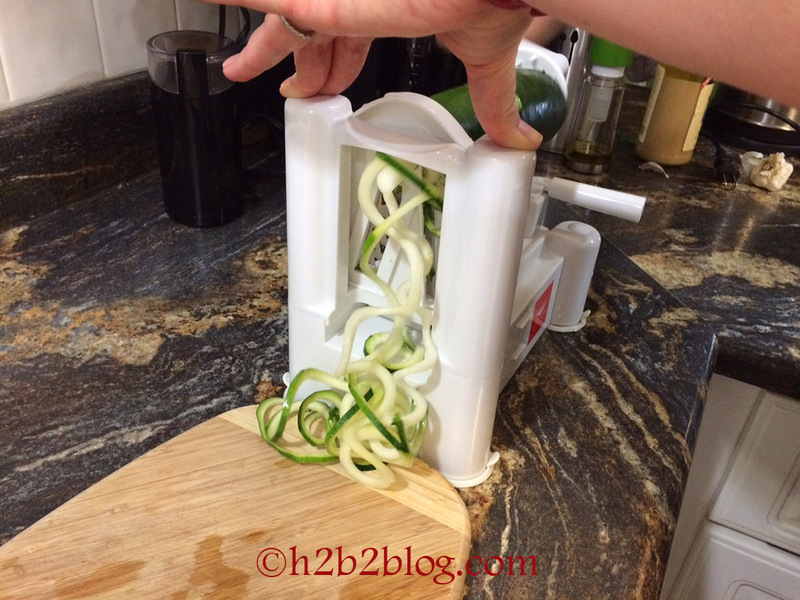 Tonight’s dinner was so much fun because my Paderno Spiral Vegetable Slicer was delivered! 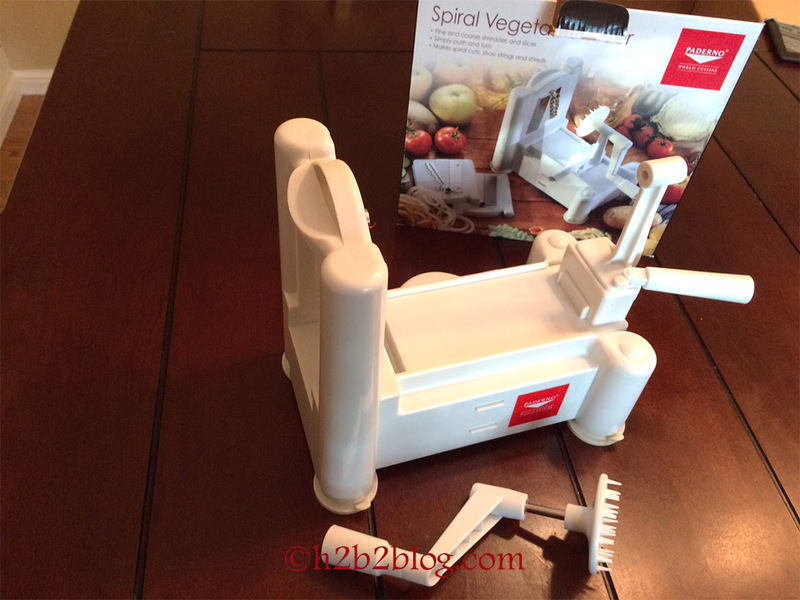 Anyway, I finally decided to splurge and get the spiral veggie slicer. So. Much. Fun. This one came with three blades. 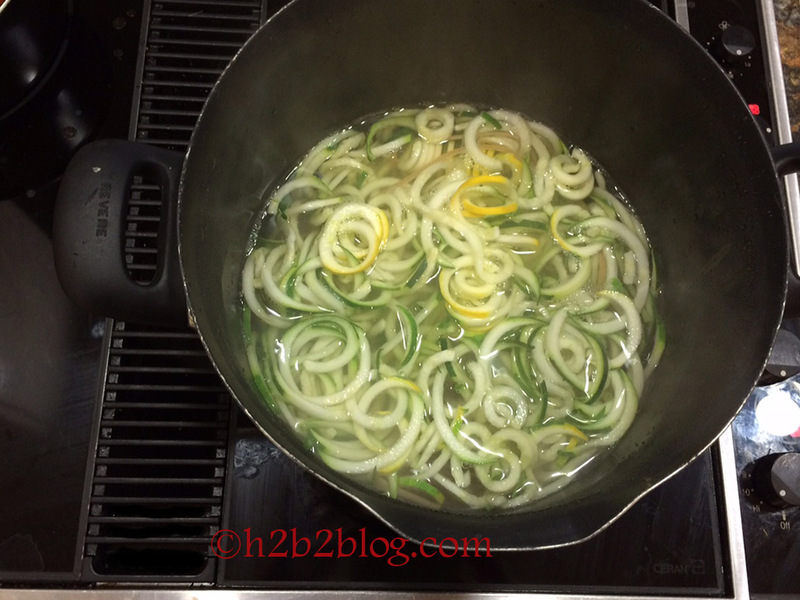 You can make ribbons, large linguini-like noodles and smaller spaghetti-like noodles. Tonight, I went for the larger noodles. Seriously, how cool is this??? I dropped them in boiling water for a minute or two, then strained them. They were slightly cooked with a little crunch. B said they were al dente, which is his favorite way to eat pasta. 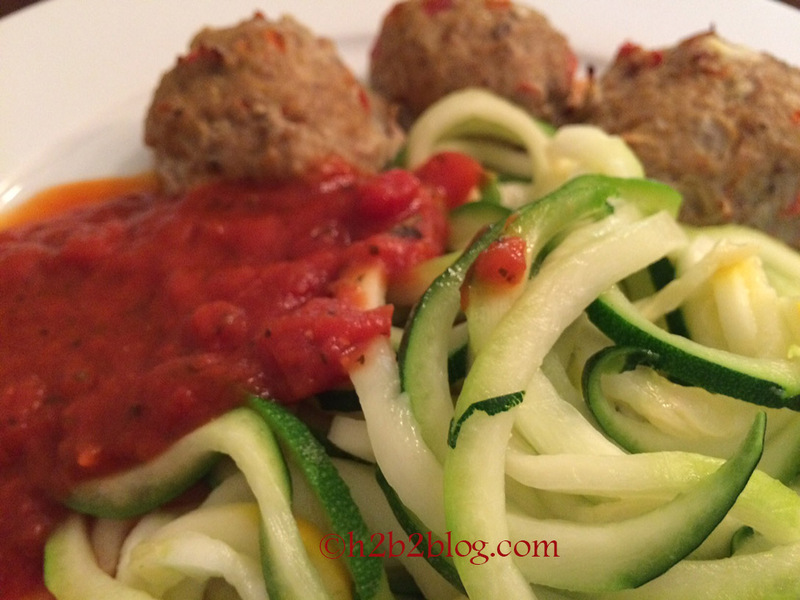 Tonight we had zucchini noodles, Pizza Inspired Lean Meatballs from Clean Food Crush (I know, I’m totally addicted to this website right now) and marinara. Quick side note: I always buy marinara with no added sugar in the ingredients. It is not easy to find but worth it for me to avoid the extra sugar. Today is a good day! I’m feeling good. My clothes are fitting well. The sun is shining. Life is good. Today I’m making a conscious effort to pay attention to the signals my body is sending. As I’ve mentioned before, portion control is one of my weak spots. While over doing it this past weekend was fun in the moment, it took days for my stomach to bounce back. That is not fun. I feel better and perform better when my stomach is at ease. I am uncomfortable and sluggish when I over-fill my stomach. I watch my son eat and when he is done, he is DONE. There is no “one more bite.” His body has said, “Hey, I don’t need any more. Back off.” I don’t want him to lose that signal, no matter how frustrating it might seem that he’s only eaten three bites of dinner. B is the ultimate warrior in the portion control war. He doesn’t like to feel overly full. It is uncomfortable. And he’s right, it is uncomfortable. But I have to make a conscious effort to say, “H, your stomach is now full. Feel that? 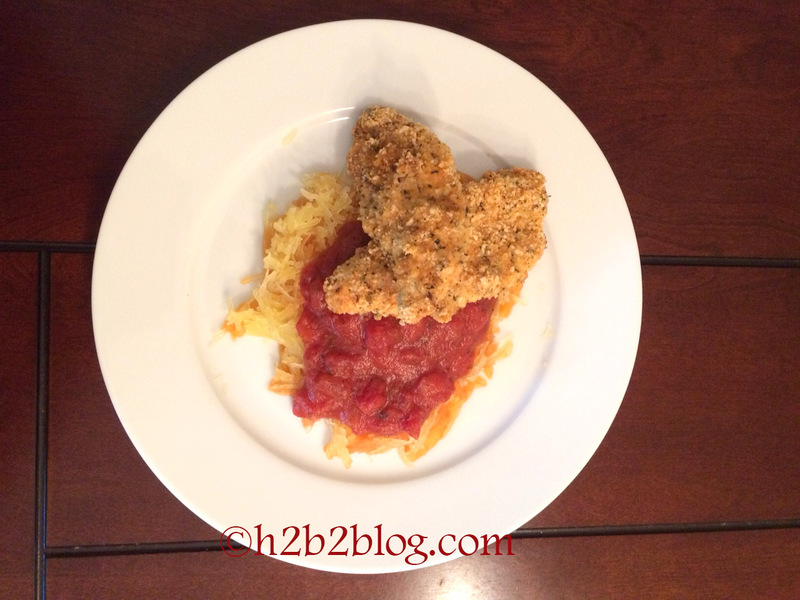 While dinner is good, a second helping isn’t worth it.” It isn’t worth it. I’d much rather feel good in my clothes on our up coming trip to Denver than eat more. I’d much rather feel confident in the pictures we will take than splurge on crab rangoon. Today is a good day. I am listening to my body. I am consciously, intentionally focusing on how I feel while I’m eating and when I’m finished. It takes a little extra effort, but it is worth it. I started the day with coffee because I am out of Spark and my new shipment has not yet arrived. Coffee is good but Spark is better at making me feel sharp early in the morning. Breakfast is a meal replacement shake. I’m still shocked at how full these keep me. Things got busy this afternoon and my lunch was pushed back an hour later than normal. I was hungry. I ate a small portion of left overs from the night before and sauteed zucchini with three eggs. Then I was uncomfortable. Too much food. Dinner was so good. 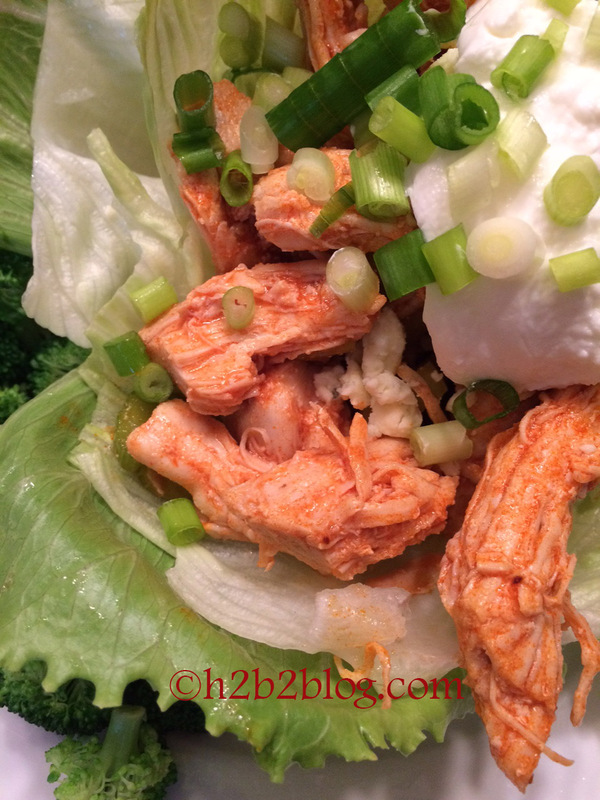 I found this recipe for Buffalo-Blue Lettuce Wraps at Clean Food Crush. So so good. Low carb. Greek yogurt as a substitute for sour cream was very tasty. We will definitely do this one again!! Ok, back to reality after a crazy fun, fat weekend! I started the day with my last Fruit Punch Spark. I hope my next order gets here soon! Spark is one of my favorite things about the Advocare Challenge. Breakfast is the meal replacement shake. So good. Lunch was a modified nicoise salad. Modified because I was too lazy to clean a bed of lettuce and I decided to just dress it with a squeeze of lemon juice and nothing else. 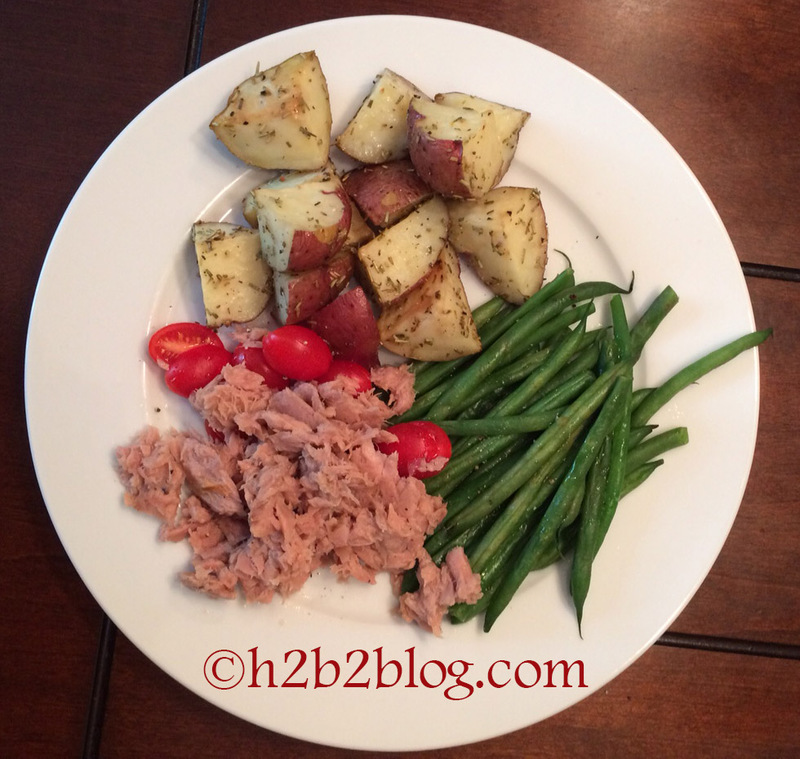 Left over roasted rosemary potatoes, grape tomatoes, steamed green beans and tuna fish. Yummy. Filling. Check and check. Afternoon snack was an apple with cheddar slices. Dinner was great! 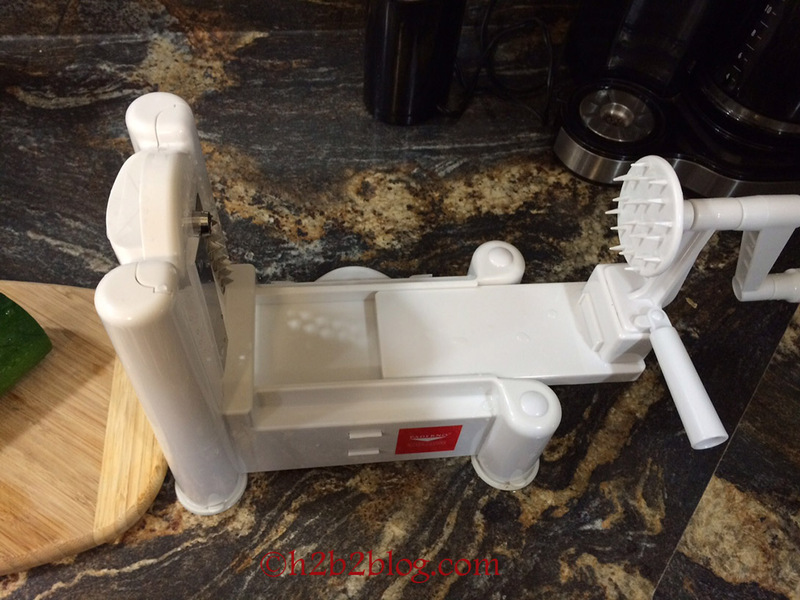 Are you familiar with Clean Food Crush? I just found the site while looking for healthy recipes on Pinterest. Yummy! Tonight we had Orange Chicken Stir-fry with Asparagus over brown rice. Soooooo good. We will definitely have this again. 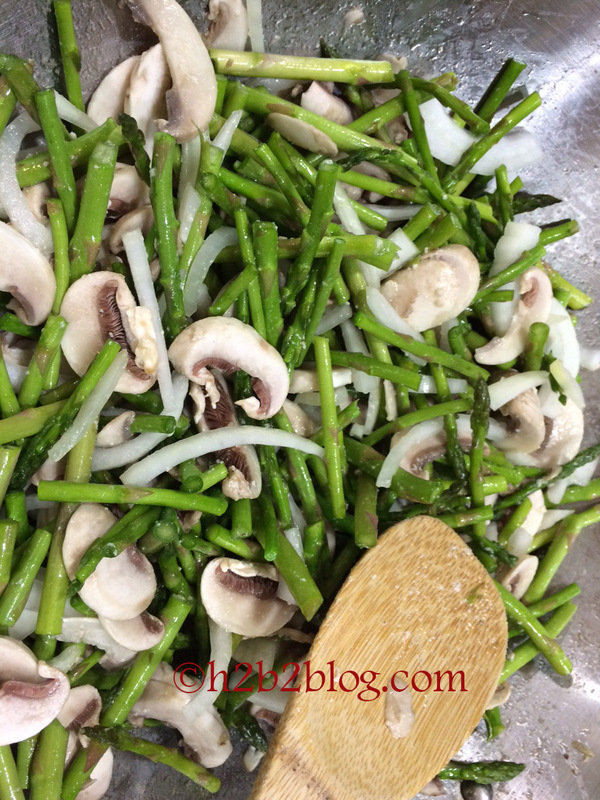 I love stir-fried asparagus! It is so bright and crispy. Lil man J ate it up. I love it when that happens! Confession: Maybe it is my Whole30 and Paleo training but brown rice is not my stomach’s friend. This makes me so sad. Honestly, I can have the occasional Jimmy John’s sandwich with less discomfort than I get from brown rice. I was hoping that this would be a nice addition to a clean eating lifestyle but every time I eat it my stomach gets puffy. Emotionally, I’m not sure I’m ready to give this up. Is white rice really that much worse than brown rice? 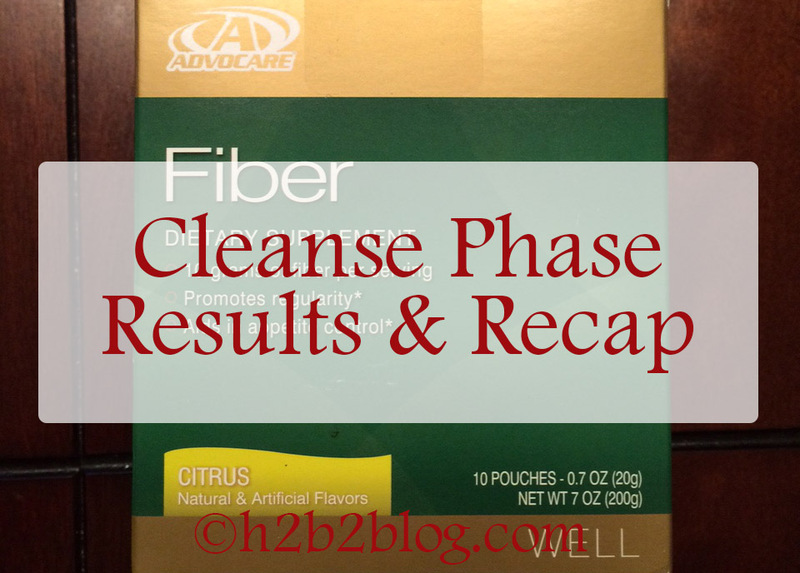 Advocare 24 Day Challenge – Day 10 The End of the Cleanse! I MADE IT!!! Today is the last day of Fiber! Today I want to share my thoughts and achievements for completing the first phase of the 24 Day Challenge – The Cleanse. The word “cleanse” brings up thoughts of lemon juice and Tabasco sauce. Needless to say, I was skeptical that a 10-day cleanse would be humanly possible, let alone worth while. My coach/adviser assured me that it was nothing like what I was envisioning. She was right. How do I feel? I feel pretty good! Best I’ve ever felt? No, probably not. But I do feel good and healthy. My energy levels are solid. I really do like the Spark and I think it is much more effective than coffee. My sleep has been good and I have been waking up easily. My only real complaint is that my stomach felt bloated most of the time and it gurgled a lot. I assume this is due to the fiber and general cleaning out of the junk. What was the hardest part? Taking the time to plan meals and making sure I was prepared with good choices when I got hungry were the hardest parts for me. By no means was I perfect in my eating during this phase, but I did make conscious efforts to watch my portions and adjust when I knew I was going to cheat. Would I do the Cleanse again? Advocare says you can do the Cleanse every 90 days. I would definitely do the Cleanse again while I am trying to lose weight. I do feel like it has cleaned out my system and I’m anxious to see what happens in the next 14 days of the Challenge. Total: 4 1/2 inches lost in 10 days! I’ll take it! Here’s a what I ate on the last day of the Cleanse. Three eggs over spinach with salt and pepper. Leftovers with a small salad. Afternoon snack was a small bag of almonds. Dinner I celebrated with wine and nachos! 🙂 An awful choice! It tasted good going down but an hour later I felt terrible! All I can say is this is reality. Making mistakes and getting back on track.